Sekiro: Shadows Die Twice is probably the best game Hidetaka Miyazaki has ever made. Its design is hyper-focused, its combat visceral and surprisingly deep, its world vast and mysterious, and most of all its narrative straightforward if gutwrenching. And while all of this is true, one thing stands above it all: this is not a Souls game. It's better. Sekiro will not win any awards for phenomenal writing, but it doesn't have to. As with any other game in Miyazaki's portfolio, the world tells a much better story than any tome or character can. 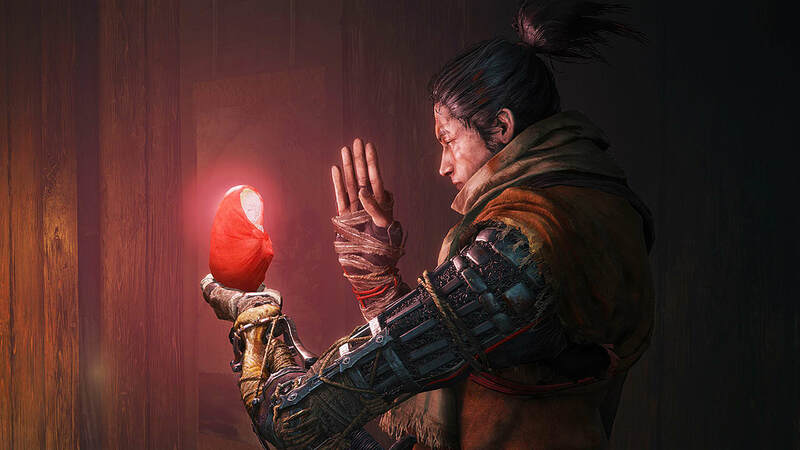 At its core, Sekiro is a tale of revenge and sacrifice, and it constantly asks the question, "What are you willing to lose to achieve something greater than yourself?" As a Shinobi known as the Wolf, you have been tasked with protecting a young boy called The Divine Heir, whose mysterious bloodline makes him a target of the ruling Ashina clan. You will start your story by rescuing him, losing your arm to the leader of the Ashina — Genichiro — and shortly after that, you'll awaken far from your master, hellbent on vengeance. 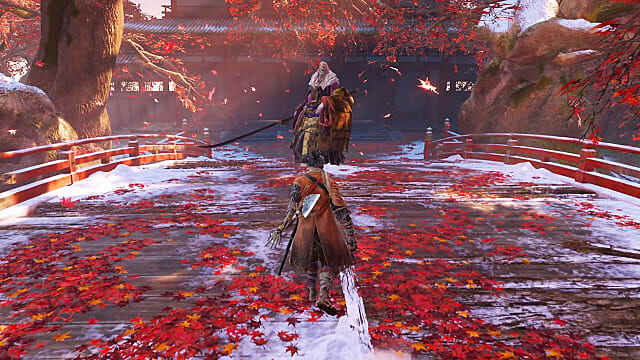 The narrative of Sekiro is divided into two parts, and the second is far stranger than the first. Rarely during the first segment are you asked to question your assumptions about the world, though there are plenty of head-scratching moments that won't make sense until much later. As you reach the end of the (shorter) first act, things will start to muddle. Oddities and inconsistencies will begin to show themselves, and a larger world will become clear to you. Clearer too will be the purpose of your revenge, and that achieving it doesn't quite have the results you were hoping for or expecting. 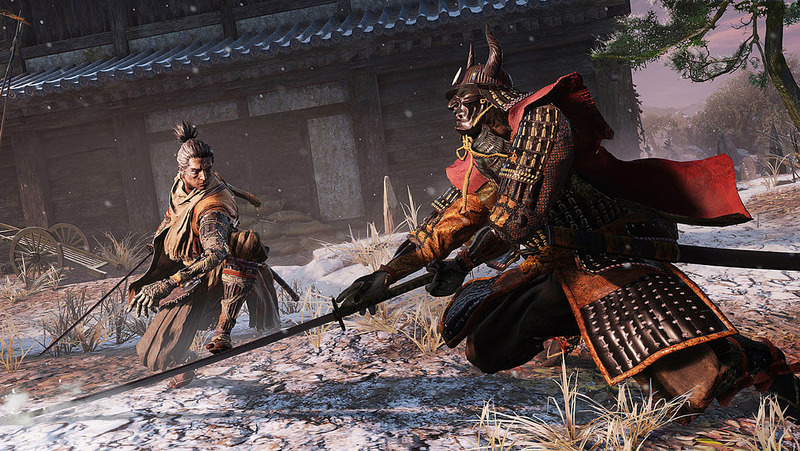 Sekiro's second act is by far the longest, and in typical From Software fashion, you will go from the top of the world to its deepest depths to accomplish your mission. Along the way, you'll learn — primarily through the environments and bits of lore — the history of the world you're exploring. You'll probably have as many questions as you find answers, many of which could take multiple playthroughs (or a few YouTube videos) to solve. The characters you meet will try to answer what they can, and few of them are exactly as they first appear. You're likely to suspect something of almost all of them, though whether those suspicions are well-founded varies from case to case. That said, all of the characters in the story feel like actual people. They all have desires and secrets, or at least some peculiarity that sets them apart from being flat or uninteresting. And as I hope I've established, the world itself is anything but uninteresting. 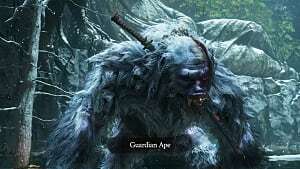 Unlike the Souls games, there's a distinct lack of interconnection between each area, and progression, story-wise, is particularly linear. Each locale has its own personality, of course, but you probably won't find much of a reason to return somewhere once you've gone through it and found most of the interesting bits. Just don't expect to find everything your first time through. There are lots of little nooks and crannies hidden in plain sight, or truly hidden. However, because almost every area of the game is mandatory to complete most of the primary endings (see our Ending Guide for more on how to achieve them), you're forced to explore almost everywhere the game has to offer. 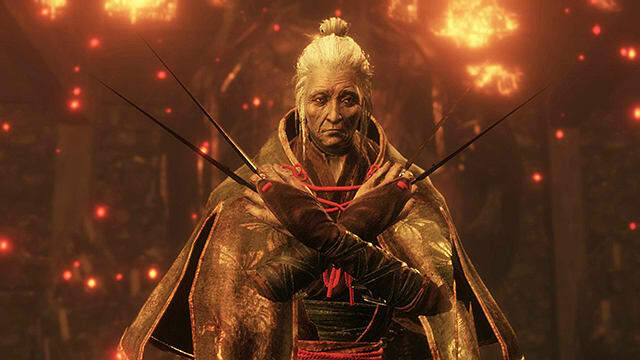 That exploration will yield many more tidbits about how the world of Sekiro came to be in its current state, and you'll achieve new perspectives on characters you've met and places you've been. 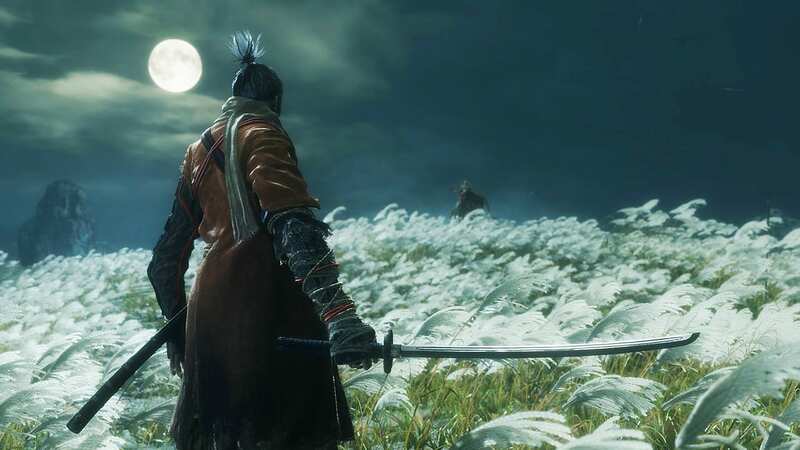 All told, while I wasn't captivated by Sekiro's story the same way I might be by a game like The Witcher or Final Fantasy, I was nonetheless bewitched by the mysteries that surrounded me, even if I knew there was no real way to solve them. There is nothing like combat in Sekiro: Shadows Die Twice. Few other action games ask players to stay close to their enemies at all times, and even fewer encourage them to not dodge. At its core, combat in From Software's latest is a chaotic, in-your-face affair that demands players learn almost every move for most enemies in the game. Only by mastering Sekiro to such a degree are you guaranteed success. The reason is simple: you will not defeat powerful opponents through damage alone. Instead, you will need to build up their Posture meter until it breaks, creating an opening for a Deathblow that will instantly drain any health they have left and make you the victor. For the minor enemies that litter the map, this is often true. The caveat is that only the weakest opponents will Posture-break quickly. For many of the foes you'll face, you'll need to learn the timing of their attacks, execute a number of Deflections (or what might also be called Perfect Parries), and wear your enemies down over time. Your sword skills are your primary means of accomplishing this, but because of the need for another button to use the Shinobi Prosthetic (described below), the only "attack" button is the right bumper or R1. There are a surprising number of combos you can execute with just a single input, but there are, of course, limits on your creativity in this department. If you aren't attacking, you'll be Deflecting, which calls for hitting L1 or left bumper at the precise moment your enemy's attack would otherwise deal you damage. With different sound and visual cues for successfully pulling off a Deflection, you'll quickly learn when and when not to go after Posture damage. It's a deep system because you have to wager that you can pull off every Deflection or risk taking half your health in damage for your failure. You do, of course, have the option to dodge, but unlike the Souls games, your invincibility frames are incredibly limited, making split-second timing even more important. I love this system, because it forces new and veteran From Software players to learn — or relearn — aggressive habits and demands a level of mastery and execution unlike almost any other game on the market. More importantly, reaching that level of skill happens organically whether you succeed or fail. And when you fail, it is almost always a good idea to rethink how you approach the encounter. This focus on constant learning is intrinsic to any Souls-like, but because Sekiro makes its players face danger in the most direct ways possible, they have to constantly weigh their skills against the capabilities of their opponents and their willingness to actively seek death. 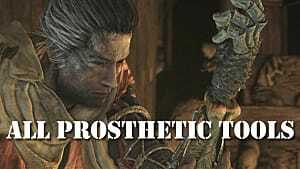 In the absence of any other mechanics, combat in Sekiro would be complicated enough, but with the addition of the Shinobi Prosthetic, whole new avenues of gameplay open wide for players to play with. The prosthetic is not, however, a replacement for your sword. Rather, it acts as a supplement to the core gameplay, giving players a number of new choices that enhance the use of the sword, avoid or deflect damage, break Posture, apply status effects, or otherwise provide you an advantage in battle. My main gripe with the Prosthetic is how certain tools are far more useful than others. Quick tip? Use Firecrackers. 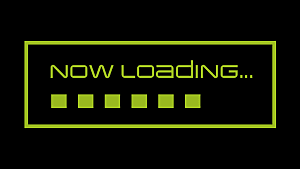 Almost every enemy in the game will stun at the bright flashes and loud cracks. As fun as many of the damage dealing options are, because you take so much damage from almost every source, you're better served only using them occasionally. Unless you want to challenge yourself, I think the utility options are almost always the best choice. Thankfully, there are a lot of them. If, for some reason, you don't want to face your enemies head-on, you have the choice to use stealth, but in many cases, stealth is situational. You'll avoid trash mobs easily enough, but bosses aren't so easily fooled. That's not to say you can't take them down with a well-placed stealth attack, but more often than not, any enemy that requires multiple Deathblows will see you coming if you're not extremely careful. Clear their arena if any minor foes are hanging around, but be prepared to face the big guy at his strongest. 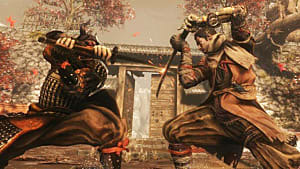 Combat in Sekiro is incredibly satisfying, but only when you can execute it. I sometimes ran into occasions where the slight input delay would feel inconsistent enough to get me killed, but as long as I accounted for it, I was rarely caught off guard. Combat in Sekiro might always shine, but it truly comes into its own when fighting the myriad bosses the game has on offer. Bosses come in two varieties: mini world bosses that reward players with Prayer Beads (the basic currency of leveling Health and Posture) and Boss Bosses that award Memories (the basic currency of increasing Attack Power). I have far more to say about the boss bosses, primarily because I found the mini-bosses to be more annoying than they are fun to fight. All bosses deal immense amounts of damage, but the mini-bosses felt disproportionately strong for where you fight them in the game. Perhaps worse, they are mechanically uninteresting, acting as bigger, beefier versions of enemies you might fight anywhere else in the game. Even when I ran across a mini-boss with an interesting gimmick, I was often turned off because said gimmick got in the way of the fight rather than enhancing it. Mini-bosses usually, though not always, had a number of trash mobs helping them, and because they are hard enough on their own, I was frequently frustrated having to deal with additional distractions when all I wanted to do was learn how to fight the darn boss. The story bosses, on the other hand, are all masterclasses in boss design. Every one of them demanded vastly different strategies. They are all aesthetically unique (save for one repeated boss that still managed to be mechanically unique in each iteration), and I was always surprised by their variety of moves and phases. Interestingly, even bosses with only one health bar often had multiple phases within that bar, and if the designers are particularly cruel, they are lying about how many Deathblows you'd need to use, as the boss would simply come back with a new bar, ready to go another round with a whole new set of moves to learn. Later bosses especially turned up the difficulty by forcing players to grind through one moveset before turning the tables with a new one, breaking the rules previously established in the fight. Sometimes, these first phases are easy enough, really only acting to soften you up for the main event. Said main events are always worth the price of admission. Even if the opening portions of the fight are somewhat lackluster, designers would find a way to turn its later stages into an epic duel between demigods. Or, well, actual gods. I won't lie and say that some of these fights didn't have their frustrating parts, but I could rarely find a reason to be angry that wasn't somehow my own fault. Either I was misreading a tell, making the generally wrong decision, or not having any knowledge of the attack that killed me. 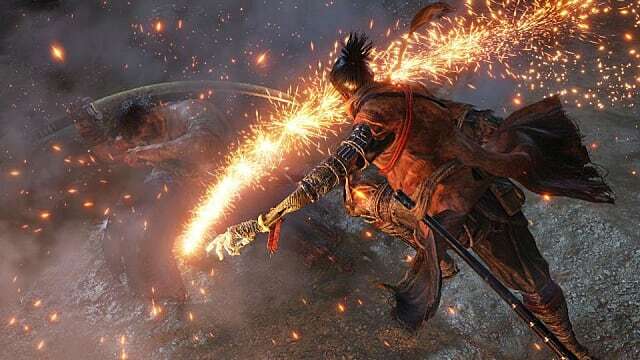 I also won't say that there are some mechanically annoying things that get in the way of enjoying the epic fights in Sekiro. For one thing, I've always felt that hitboxes in From Software games need work, and this is still the case here. Attack tracking and homing can be aggressive as well, and if you aren't careful, an attack that should deal damage will kill you. Still, there wasn't a single mainline boss fight in Sekiro I look back on and hate. They are all so artistically and mechanically unique, so demanding that the player dedicate themselves to learning, and so very enjoyable to overcome that even the ones I dislike the most only serve to make the ones I like shine brighter. 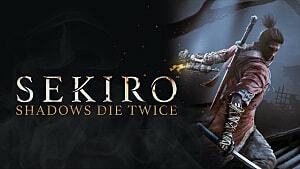 I wasn't sure if I'd rank Sekiro: Shadows Die Twice above Bloodborne as my favorite Miyazaki-directed, ultra-hard action game. I think, in this case, the clear focus on a single-player experience and clarity the designers gained from working with a single character class — Ninja — made the gameplay the best its ever been. I think too that a real-world historical setting, with plenty of mythological bending, was the right move. There's something grounding about the character motivations and the general feel of the world that feel more believable, more understandable. 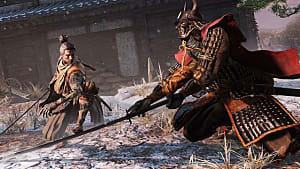 Lastly, the game's conceptual similarity to Souls and the many, many, changes made to ensure Sekiro was its own game are quite the handful to get used to, especially with thousands of hours in the former series. However, I think this could set the stage for a new franchise. There's so much good stuff here, and I can't wait to see what comes next. 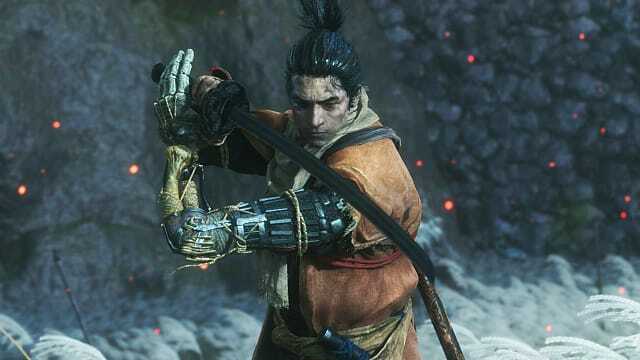 Sekiro: Shadows Die Twice is probably the best game From Software has ever made, and it's worth every second of your time playing.